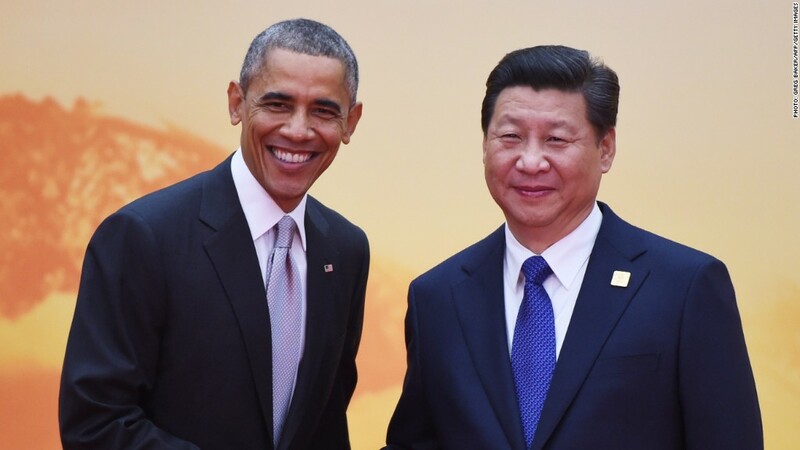 President Obama and Xi Jinping, his Chinese counterpart, at the APEC summit. Editor's note: Penny Pritzker is the U.S. Secretary of Commerce, and Jeffrey Zients is the Director of the National Economic Council. The opinions expressed in this commentary are solely those of the authors. People naturally think of boosting exports as shipping more products to faraway lands, but when travelers come from afar to spend money here, that generates economic activity in America too. Tourism is America's largest services export, and growth in international visitors has created roughly 260,000 American jobs over the past five years. In 2013, the State Department issued 9.2 million visas, a 42% increase since 2010. The Administration has helped accelerate this growth. Thanks to reforms in visa processing, average waiting periods for visas in important markets like Brazil and China have dropped from as high as several months to less than five days, all while maintaining the same rigor in legal and security reviews. On Monday in Beijing, President Obama announced an agreement with China that builds on that progress by extending the validity of tourist and business visas to 10 years and student visas to five years -- both for Chinese citizens traveling to the United States and for Americans traveling to China. Prior to this agreement, Chinese citizens had to renew their American business, tourist, and student visas annually and the same applied to American travelers visiting China. Travel and tourism is already our largest services export to China, and Chinese visitors have accounted for 20% of the growth in overseas travel to the U.S. since 2008. Last year, 1.8 million Chinese traveled to the U.S. These travelers spent $21 billion supporting more than 100,000 American jobs, many of them at small businesses across the nation. But we are a long way from fully capitalizing on the opportunity from combining the growth of China's burgeoning middle class with the appeal of an American vacation or business investment. In numerous surveys, Chinese tourists and business leaders consistently rank America as their most desired travel destination, yet today we only capture 1.8% of outbound Chinese travelers. For comparison, today the U.S. draws about 14% of Japanese travelers and 9% of Korean travelers. Related: 4 things about China's delicate relationship with the U.S. When asked, Chinese travelers cite the ease of obtaining a visa as second only to cost among the factors determining where they take their next trip. We've been falling short in that area, while our competitors have been upping their game. The United Kingdom, Canada, and Japan have already eased visa restrictions for Chinese travelers, with the European Commission, France, Germany, and Italy also taking steps to extend visa validity to China too. Of the 10 largest economies, China's was the only one whose citizens were required to apply for U.S. visas annually. Monday's announcement changes that dynamic, positioning us to benefit from increasing Chinese travel ambitions. In the next few years, China's travel-ready population is expected to grow into the hundreds of millions, an extraordinary scale relative to any other country in the world. With the help of this change, we anticipate that up to 7.3 million Chinese visitors -- more than any other country except our neighbors, Canada and Mexico -- are projected to visit the U.S. in 2021, contributing about $85 billion per year to the American economy and supporting 440,000 American jobs. That's four times as many travelers supporting four times as many American jobs as was the case just last year. The student visa component of the agreement will also allow for exceptional Chinese students to travel into and out of the U.S. for up to five years on a single visa as they complete their studies. But we cannot rely on better policy alone to capture the growth potential of the Chinese market. In addition, we will need to expand flight capacity, ensure our offerings are attractive to Chinese visitors, and aggressively market the U.S. as a travel destination. By making all of these changes, we will turn a trip to the U.S. into a rite of passage -- and repeat occurrence -- for China's rising middle class and growing corps of business leaders, as well as a crucial engine of American growth and job creation.